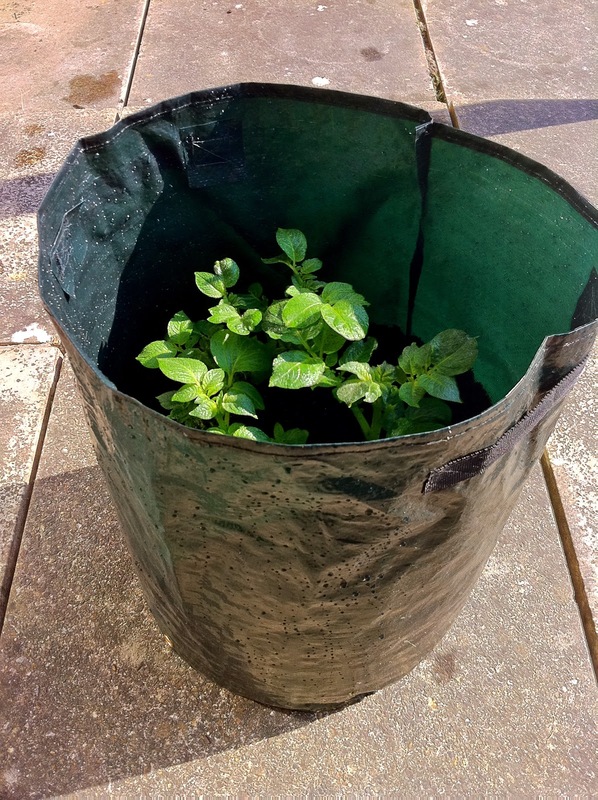 In terms of your Haxnicks Potato Patio Planter - this is the process of adding more soil around the stems of your potato plant to encourage the plants to produce more tubers. 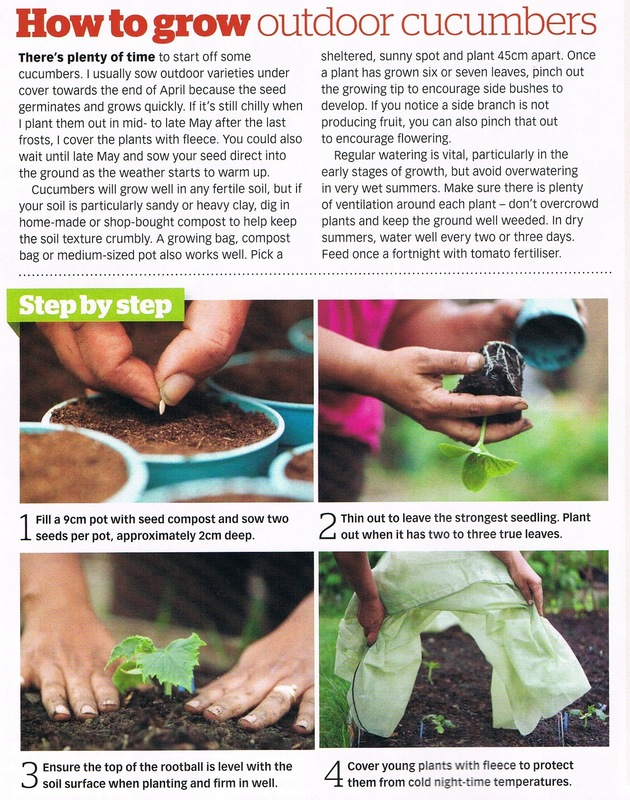 Simply keep adding compost as the plants grow! If you would like to win £100 and other Haxnicks goodies simply by growing potatoes - check out our Great Potato Gold Rush Competition. Don't forget to keep watering your Potatoes and let us know how you get on! This entry was posted in Grandpa Haxnicks and tagged Potato Patio Planters on 22nd April, 2011 by Haxnicks. Grow Cucumbers in your own back yard! In this months Gardener's World Magazine, there were a few of our products used in an article on outdoor cucumber growing. Did you spot our aqua coloured Pots Naturally and fleece Easy Tunnel? These fantastic plastic cloches are perfect for plants that belong to the plant family Cucurbitaceae, (which includes cucumbers, squashes and melons.) as they thrive in humid conditions. The cloches make sure the young plants are protected from frost, and the ventilation shaft at the top helps prevent wilting/scorching. Beware of using these in summer, as it may become too hot - use Net Easy Tunnels in order to provide shade and protection from hungry garden visitors. Used with bamboo canes and CaneToppers, these planters are fantastic for tender climbing Curcurbits, and easy to move. Use either long or short bamboo canes, depending on the height you wish your climbing cucumbers to reach. 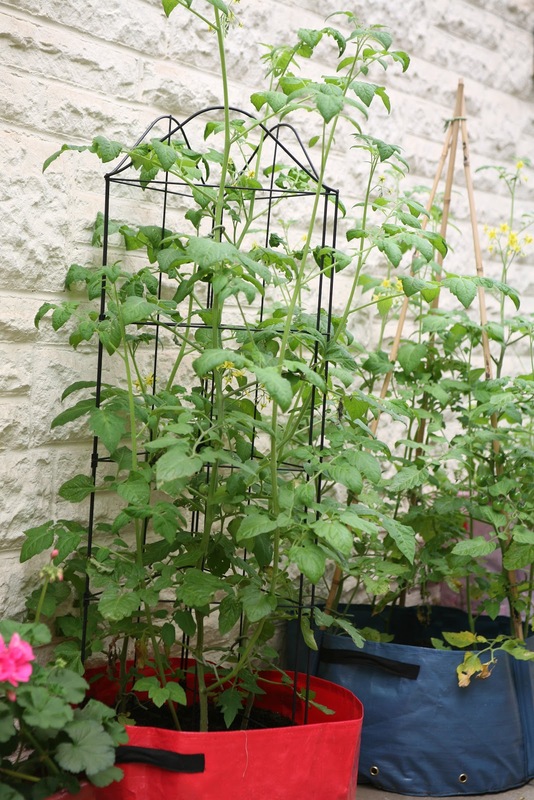 Our Tomato Patio Planters (in red, left) come with an attractive metal frame that allows tomatoes and cucumbers to grow within the structure giving continuous support throughout the plants life. TIP: Grow your climbing vegetables to the top of the growing frame and then cut off the tip, allowing the plant to concentrate it's efforts within the frame, giving you a bushier plant. This ingenious invention can be used for many things - in this case, Soft Tie can be used to secure the stems of your cucumbers up vertical supports (such as bamboo). The wire inside is coated in rubber - it's tough but won't damage your plants and so is ideal for securing the plant as it grows. Good luck - and please send us your pictures of your cucumbers growing in Haxnicks products, we would love to see them and will post them up on this web site for all to see! This entry was posted in Grandpa Haxnicks on 19th April, 2011 by Haxnicks.